You guys! Remember when I said I was redecorating my bedroom? So the thing about living in NYC, is that unless you have a bajillion dollars, you tend to end up in a space that is a little…let's just say cramped. My bedroom is just like that. I mean it's a somewhat decent sized room, with really tall ceilings, but it's a totally odd shape. So fitting stuff into place was a little tricky. After much googling and pinning, I was finally able to put a kind of vision board together and pick pieces that fit in the space. So let's get to it, shall we? First, we MUST talk about my new mattress. Because OMG I'm obsessed. It's the comfiest thing in the world and get this…it came in a box! Like literally showed up in the mail and was delivered to my door. How insanely awesome is that? 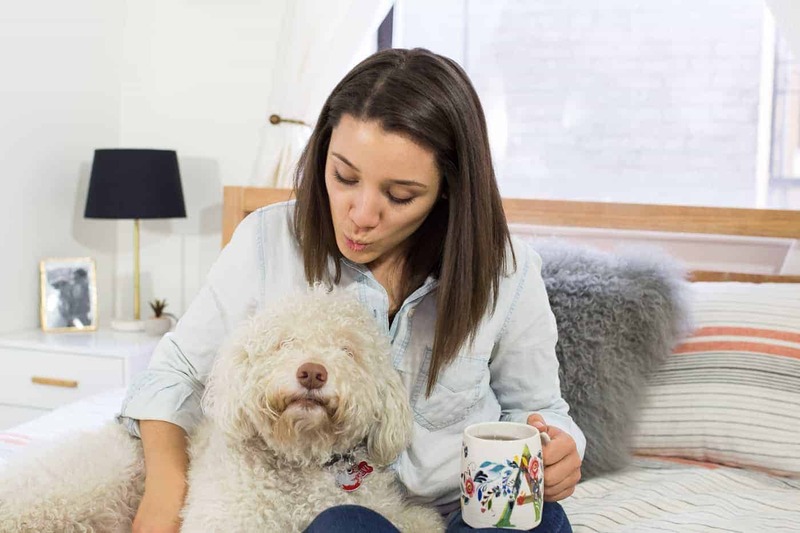 This mattress is from a company called OSO and I am so excited to be partnering up with today on this post. Their mattresses feel like a dream; honestly, it's like you're sleeping on a cloud. 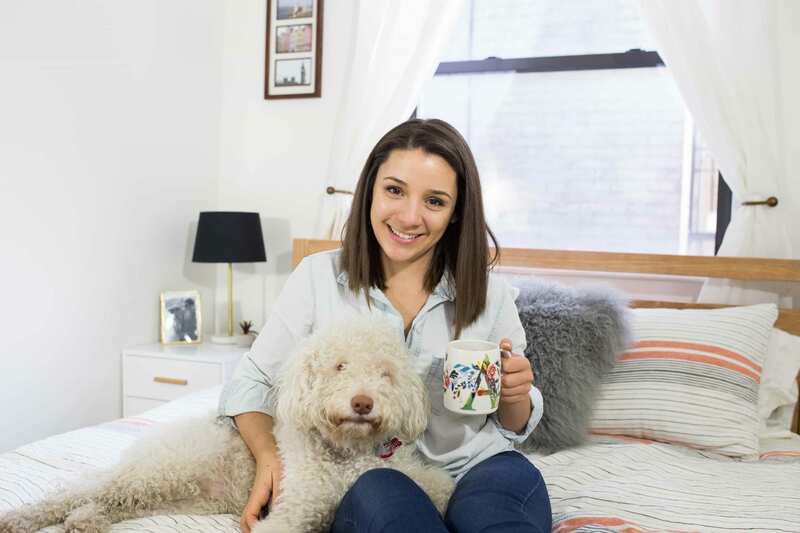 I'm going to talk a little bit more about their mattresses, as well as the rest of the room, but make sure to scroll down to the end of the post to learn more about how you can get a better night's sleep! 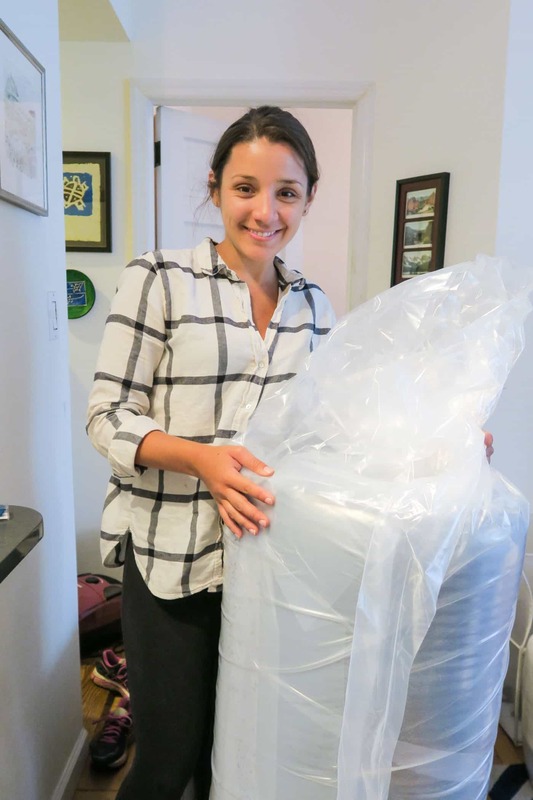 What's really special about the OSO mattresses is that not only are they free from harmful substances like formaldehyde and carcinogens (yes, standard mattresses actually have these inside which means we actually sleep and breathe in these chemicals for 7+ hours A DAY…yikes! ), but they're designed to help you have the best sleep ever. How? With their unique micro-targeted support! Basically, you can choose if you want your mattress to be soft or firm. Or better yet? You can switch between the two! 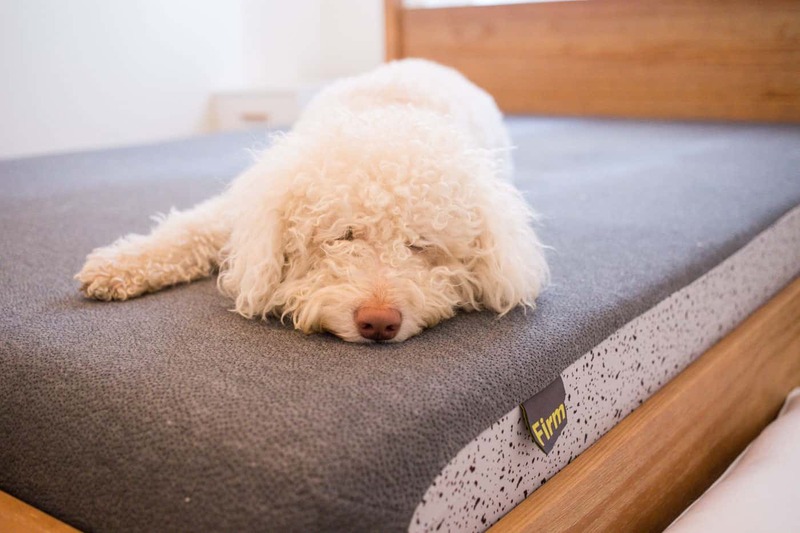 Everything about the way the mattress is designed is meant to support your body and maximize your sleep, focusing specifically on the areas you where you need the most support: your shoulders, lower back, and hips. And I can attest: I have never slept this well in my life! 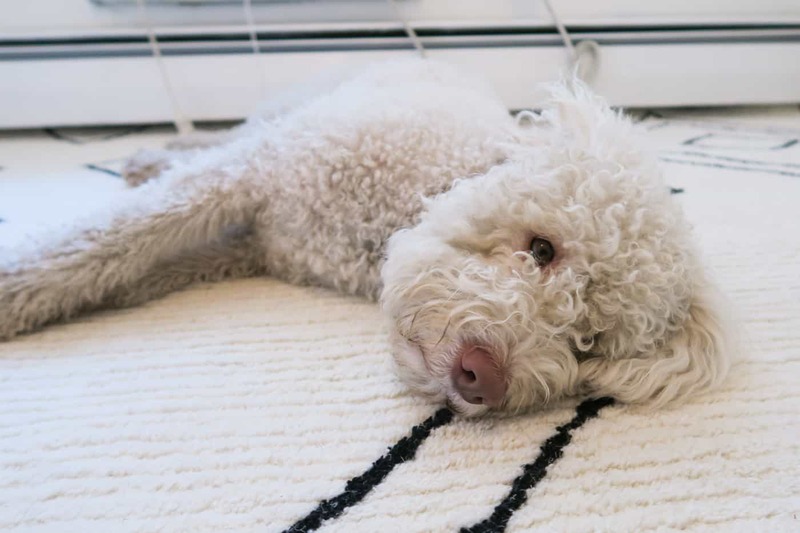 If you're in the market for a new mattress, I can't recommend OSO enough. I love that they're non-toxic and environmentally friendly, they offer a 100-day trial (yes, you can actually try it out first! ), it's delivered right to your door AND they have a lifetime warranty. Basically, you can't go wrong! I would (and will) 100% get a mattress from them again! When I was designing the space, I wanted something that felt modern, but still a little rustic. 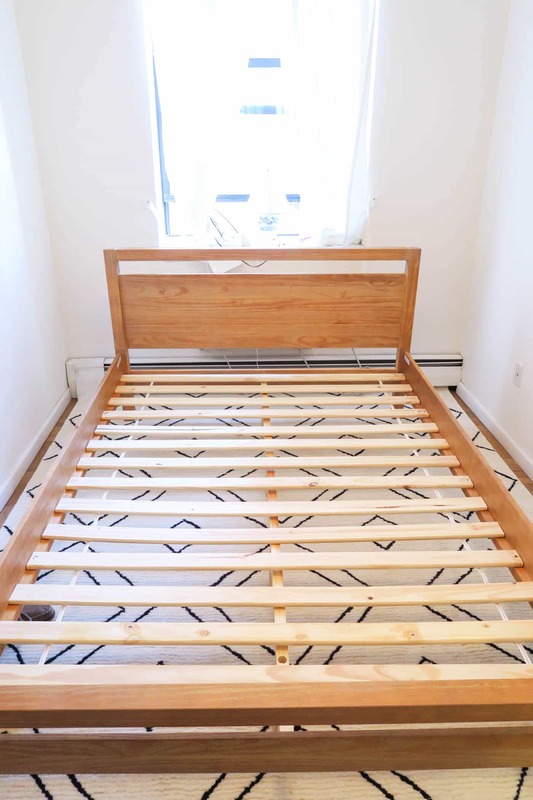 I found this bed frame from Joss & Main and instantly feel in love. It was the warm wood tone I was going for and I loved the platform look. The frame is also eco-friendly and made from 100% pine wood from renewable forests, and is a great price point. And I'll be honest and say, it's not easy to find a bed at this quality that's also sustainable in a reasonable price range. Finally, the fame isn't too tall, which is just what I needed. I have a window above the bed and I didn't want a headboard blocking it, so this honestly fits the space perfectly. So happy with my choice! The bedding I've had for a little while, but I still love it. I like that it adds a little pop of color and brings some lightness to the room. 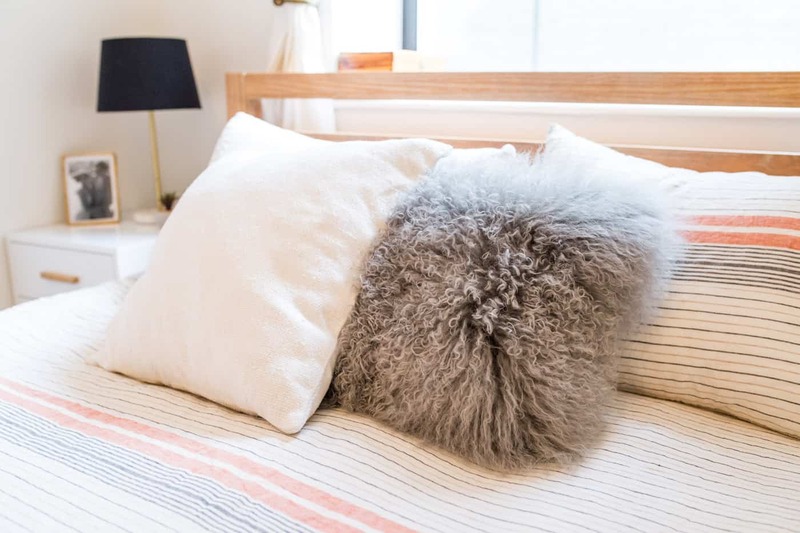 The duvet cover is from West Elm (no longer available sadly), but is a great quality, so I'm sure they're other linen ones are equally as lovely. The throw pillows are also from West Elm: here's the white one and the gray one. The down pillows on the bed are from Joss & Main and are SO FLUFFY! I'm all about the soft and cozy when it comes to my bed so these down pillows, mixed with my cotton flannel sheets (from Kohls!) and the soft OSO mattress? Guys, it's heaven. I'm tellin' ya! 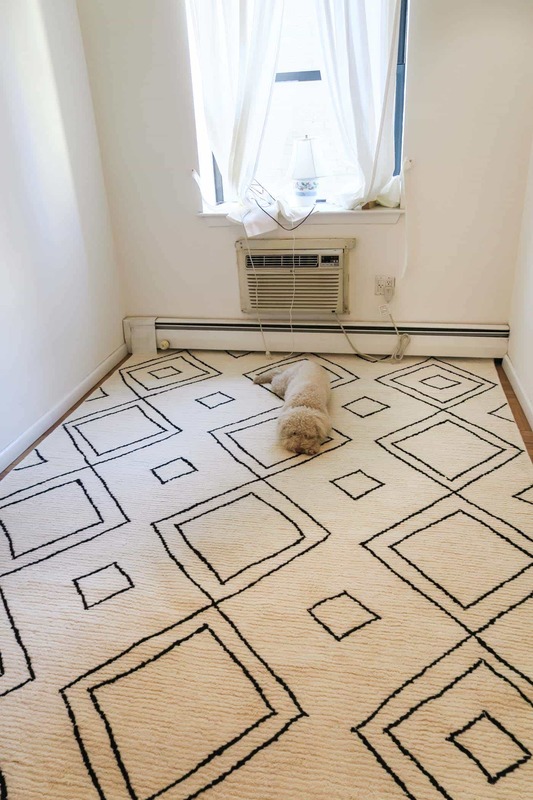 This gorgeous wool rug is from RugsUSA and I'm in love with it! I was worried about getting a white rug, especially with a doggie who loves sleeping on the bed, but I'm so glad I did. It works so well in the space, is soft and cozy underfoot and makes the room feel so bright. The color is not a pure white, but more of a light cream and the lines are black. It's clean, minimalist and doesn't interfere with the other things I've got going on in the room. It really helps bring everything together so nicely. And best of all? It's a great price point! If you haven't shopped with RugsUSA, you must. They have an amazing selection of really high-quality rugs for super reasonable prices. The side tables were a bit tricky to find, because as you can see from the photos, the space is tight. It took a lot of searching, but the ones I chose couldn't be a better fit. Not only do they fit the space perfectly (like literally, I think I have half an inch to spare! ), but they design ties in really well with the rest of the room. For the accessories on the tables, most of those come from World Market. 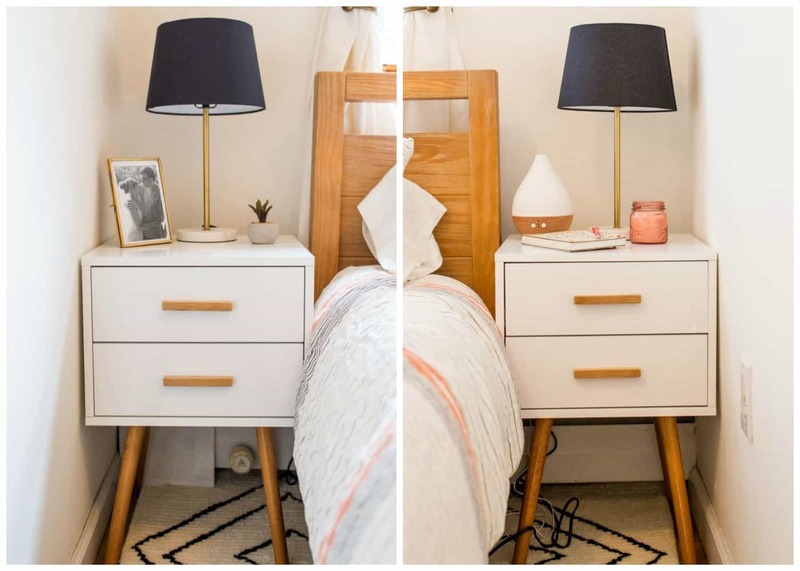 The lamps, shades, candle, frame and fake succulent plant are all from there, and the diffuser is from a company called Pilgrim, which is sold on Amazon. Adore the look of this diffuser; it's sophisticated, doesn't have a light and works like a charm. You guys know how much I love my essential oils! The room has three BIG walls that needed some love. On one side, I went with two large prints which I got from Etsy (I went with this one and this one). I like the modernness of the design, but also the lack of color. Goes with the black and white vibes I've got happening. 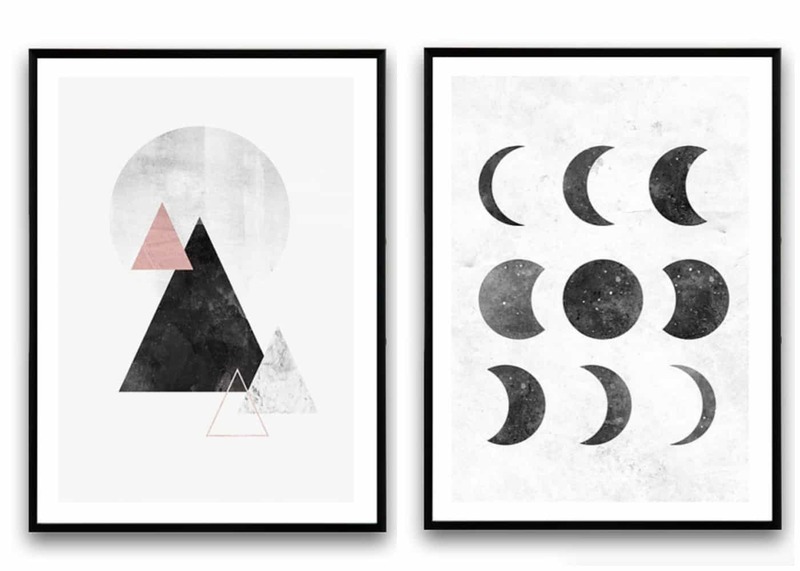 The frames for these two prints are from Ikea. On the side of the room, I have a floating shelf which I actually built myself. I bought a primed piece of wood from Lowes, then bought those little brackets things and done. It was up in less than 10 minutes. 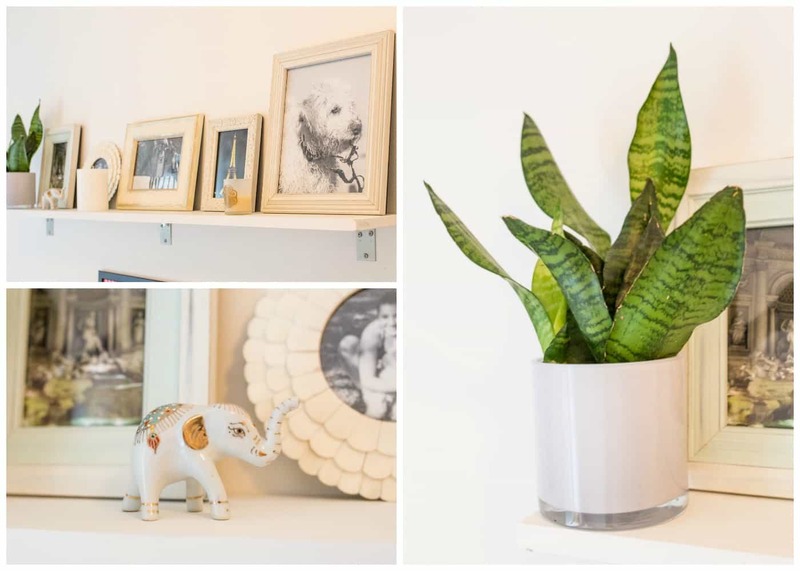 For the frames on top of the shelf, I got most of those at HomeGoods, the plant from a local store in my neighborhood and the little elephant is from a Thrift shop. 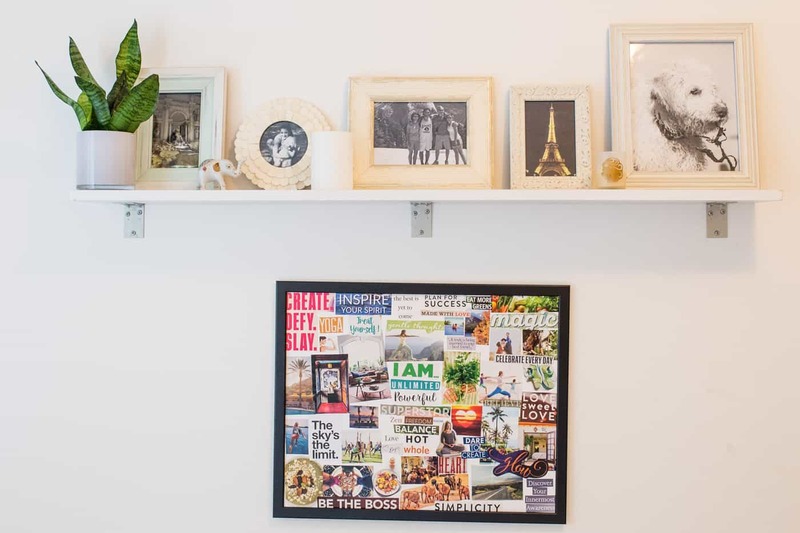 Below the shelf I've got my 2016 vision board, which I made back in September. I'm happy with it for now, but I kind of think vision boards are something that should be updated every six months or so. So I'll be changing that one soonish! 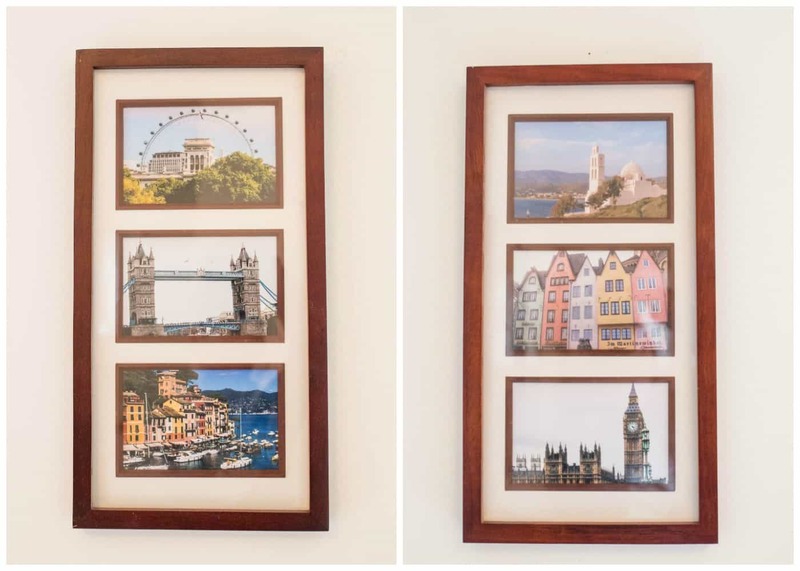 Alongside the window, which is also above each of the side tables, I have two picture frames with photos from some of my favorite trips. We have pictures from London, Portofino, Italy, Germany and Greece. I always love incorporating little pieces of my travels into my spaces. And finally, on the wall that is above my dresser, I have two large mirrors that I got from Ikea. I actually borrowed this idea from Lee and I love the way it looks. It helps make the space feel so much bigger! And since they're across from the window, it also bounces the light and makes the room feel brighter. So thanks, Lee! 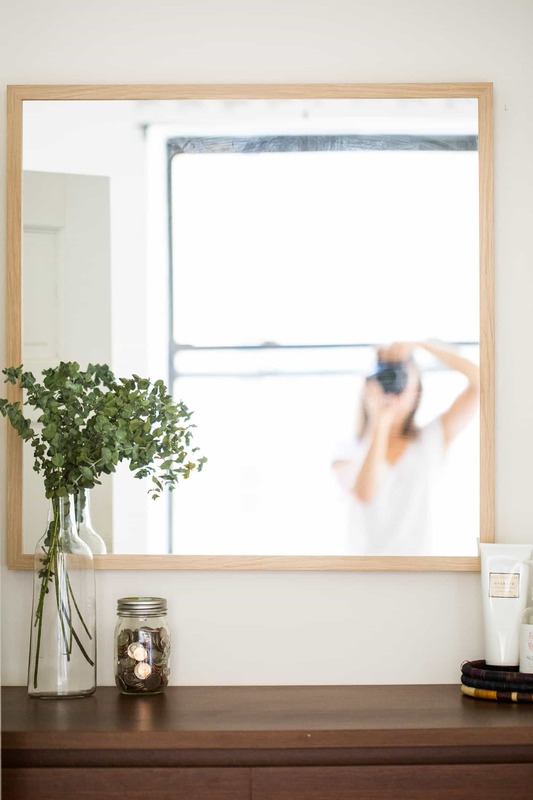 That's pretty much all we've got for the room, now I want to quickly talk about five of my favorite nighttime rituals to help you get an even more restfully delicious sleep! Okay so let's dive into my favorite nighttime rituals that help me fall asleep and also stay asleep! 1. A screen detox! Basically, just disconnect from your electronics at least 30 minutes before you go to bed. This will help quiet your mind and get you into the sleepytime vibes. If you do sleep with your phone, like I do for my alarm, just make sure that you flip it screen side down and turn it to the Do Not Disturb setting. That way your phone won't be lighting up with notifications AND you won't hear text messages/calls if they come in after you're in bed. 2. Sip a relaxing tea! You guys know how much of a tea drinker I am, and nighttime is my main jam. I always, and I mean always drink a cup of tea at night. My favorites are Egyptian Licorice Mint and Mint Magic, but other delicious options are Sleepytime, chamomile or anything lemon-ginger flavored. You'll feel instantly relaxed! 3. Diffuse essential oils! 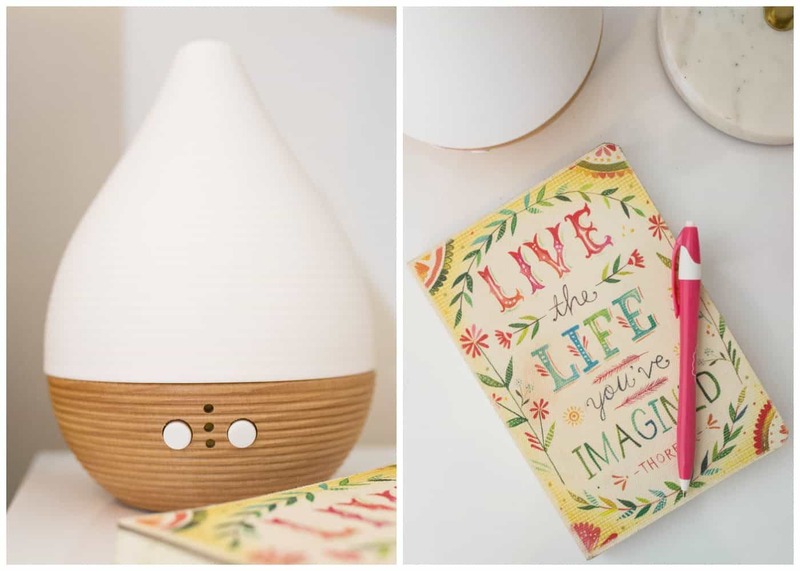 I've also talked about this one before, but I LOVE diffusing essential oils at night. You saw the diffuser I use above, and when it comes to oils me go-to blend is: Lavender, Cedarwood and Stress Away (sometimes with White Angelica mixed in). The second two are optional, but the lavender-cedarwood combo will make you sleep so soundly it's incredible. 5. Get at least 7 hours of sleep every night. I know this isn't technically a ritual, but it kind of is! If you train yourself to go to bed a similar time of night, you end up making it a nighttime ritual. And yes, you gotta get in those Zs. 7- 9 hours is the sweet spot for most peope (mine is 8) and it's super important for your overall health. You internal systems just can't function at their optimal levels when you're running on low sleep. So prioritize your shut-eye because your mind and body will thank you for it. I hope you guys enjoyed today's post! If you have any questions/comments, make sure to pop them in the comments below – you know I love hearing from you! And again, I want to thank OSO, Joss & Main and RugsUSA for partnering with me on my bedroom makeover. I'm in love with it all! Thanks for the info on the mattress. I am looking for a non toxic rug and pillows. Do you have suggestions? I think that World Market carries some rugs that are made from recycled plastic bottles and likely non-toxic. As for pillows, I’ve heard great things about Avocado Mattress (and their pillows)! This is so great! Your blog helped me make up my mind to buy this bed frame. I legit have been going back and forth in my mind about it and it’s hard because there aren’t a lot of great lifestyle images on Joss and Main. I’m so glad I found your blog, it’s amazing content. Joss and Main should pay you! ;p I’m decorating our new apt in Park Slope, any recommendations for other reasonably priced sites with cute accent items? We’re making an IKEA un this weekend. Thanks again, you don’t know how glad I am that I came across your blog. Absolutely love it! Definitely gonna check out that mattress – can’t believe it was light enough for you to lift it yourself let alone it came in a box! I also loved the bed frame – it’s what I’ve been looking for and haven’t been able to find locally, so will check it out online. Awesome job! Everything looks very simple yet delicately elegant. 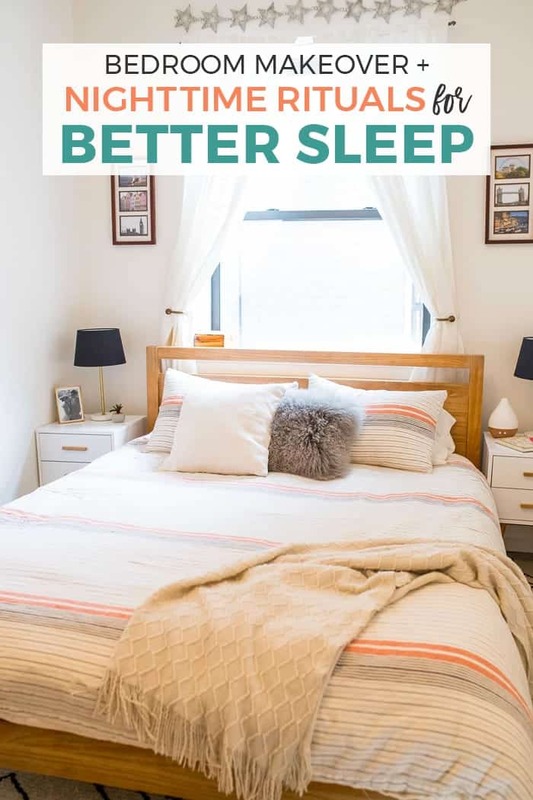 The sleep tips are exactly what I’d recommend and I’d go a step further and say get an old fashioned alarm clock from Ikea or Target (they also look decorative). Thank you so much!! You will absolutely LOVE the mattress if you’re on the hunt for a new one. I can’t say enough good things! I love your room! You did an incredible job with such a small space. Funny enough, my bedtime ritual is similar to your own except that I stop using the computer 2 hours before bed as 30 minutes didn’t do it for me. I also put my phone in airplane mode to avoid radiation hitting me in the head all night! Sleep well in your cozy room! Great tip about the radiation! Love, love. love this! I look forward to implementing these rituals into my routine. I tried the Egyptian Licorice Mint because you said it was one of your favorites, drinking some right now, I LOVE it :)!!!! 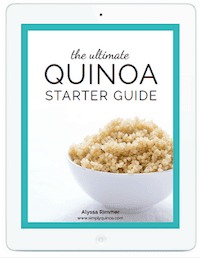 Thank you so much for sharing….